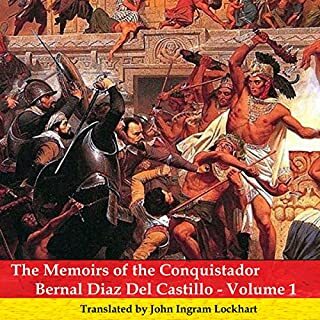 This memoir is an autobiographical account of the events as witnessed by Bernal Diaz - a Conquistador on that journey - a man from Spain who desperately hoped to carve out a life of riches for himself in the new world and instead found himself on an epic journey of conquest, whilst desperately fighting to stay alive, in previously unknown and unimagined lands. This is a true tale written in his own hand and translated into English. It is a gripping account of the events from the soldiers' viewpoint as each day becomes a battle for survival against incredible odds. It was a moment unique in human history: the face-to-face meeting between two men from civilizations a world apart. In 1519 Hernán Cortés arrived on the shores of Mexico, determined not only to expand the Spanish empire but to convert the natives to Catholicism and carry off a fortune in gold. That he saw nothing paradoxical in his intentions is one of the most remarkable and tragic aspects of this unforgettable story. In Tenochtitlán, Cortés met his Aztec counterpart, Montezuma: king, divinity, and commander of the most powerful military in the Americas. Yet in less than two years, Cortés defeated the entire Aztec nation in one of the most astounding battles ever waged. The story of a lost kingdom, a relentless conqueror, and a doomed warrior, Conquistador is history at its most riveting. A book will worth your time. I found myself trying to figure out the "bad guys" and the "good guys" and realized that I couldn't do it. The human sacrifices revolted me but the treachery and greed of the Cortes expedition disgusted me. Anyone interested in the forces that transformed the Americas should get this book. This will give you the rest of the story. 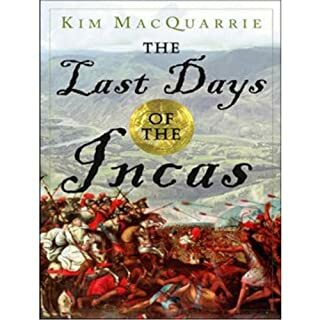 I chose this book because I love history and knew NOTHING about Cortez except some vague high school history or Hollywood account of greedy Spaniards unnecessarily wiping out the poor, innocent Aztecs . Um. Not the whole story. Granted, the Aztecs were minding their own business when Cortez arrived - having built the largest civilization on the planet. Granted, there was the whole gold and greed thing, but there was also disgust for human sacrifice and roasted babies. Which was worse? This book does a great job of explaining how the whole conquering thing went down. The book was really good and the narrator did a good job. Other reviewers commented on his silly Spanish accent - and I agree. But, it made me snort/laugh every time I heard it - so that's not so bad, is it? I agree with another reviewer - I would have liked to have seen the wonders that Cortez saw. Definitely right up there with the likes of 1491, 1776, and Team of Rivals! Mystery of the Aztecs solved! Have you ever wondered how 200 Spaniards could conquer an established Mexican Empire of Millions? You will be intrigued when you listen to this Audible Book and discover the answer. You may find yourself putting your life on hold in your eagerness to learn what Mr. Levy has revealed. The narrator Patrick Lawlor is an auditory genius equivalent to Einstein in the science of physics. Buddy Levy's book is a well written documentary of the fate of the Aztec Empire. 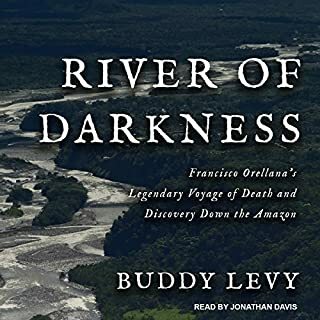 Patrick Lawlor, with the exception of his failed attempt at a Spanish accent, does a fine job reading the accounts of Cortez and his men as they conquer Tenochtitlan and claim Mexico for Spain. Narration was clear and easy to understand. Story was engaging and interesting from beginning to end. The book focuses on Cortez mainly with a dash of Montezuma and other Aztec leaders to provide a foil. As it should be Cortez is presented as an enigmatic character in history. His ambition and skill matched by his greed and cruelty. The story provides excellent insight into exactly how Cortez conquered Mexico and also what his thought process was during it. There are many asides and anecdotal stories that add to the experience and I particularly enjoyed the epilogue. Reader did a good job, even though as others have mentioned his Spanish accent is not the best. He has good pacing and seems to enjoy the material. Excellent description of the Conquest of Mexico! 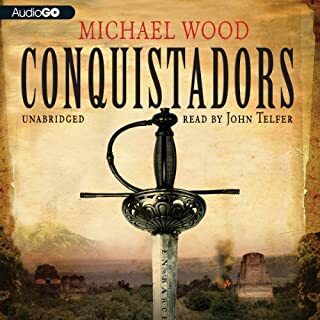 Where does Conquistador rank among all the audiobooks you’ve listened to so far? Really, this is one of the very best history books of the Mexican Conquest i have found. 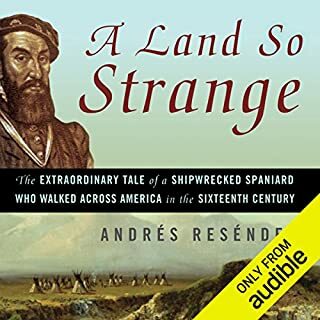 If you want to know the details of the amazing conquest of Meso America by the lawyer, Cortez, listen to this book. 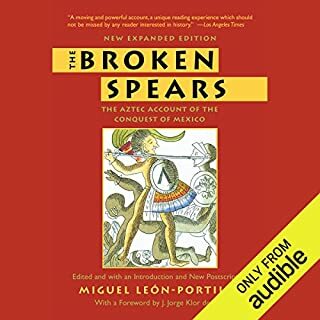 The amazing detail of the lives of the key players, both European and Indian, the detail of the strategy, the detail of the nature of the Indian lives and how quickly so many accepted the Spanish as the superior tribe. Also, the detail of the politics, Spanish, and Indian, that Cortez had to contend with and manage. The telling of the story is so rich. it gives a 3D feel to the story. My extreme reaction is: OMG these men were men! They truly were conquistatores, and yet they lived according to the laws of the times. I do not know anyone that could have done what they did, the living with constant expectation of death or mutilation, the constant physical and mental hardships, the hope of riches ( that did not happen for most of them) and the sense of adventure. If you are interested in Mexican or Central American, or Spanish history, buy the book. If you are interested in the class of civilizations, buy the book. If you are interested in the nature of human behavior, buy the book. 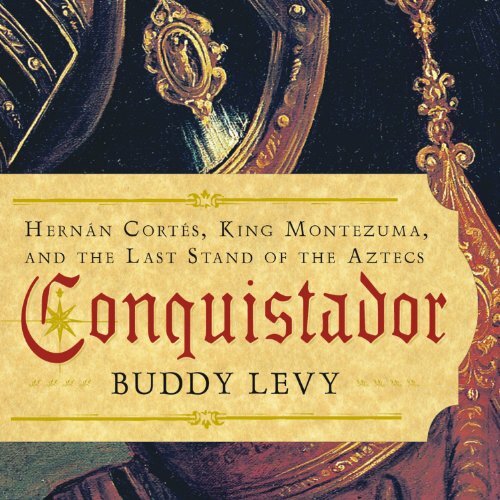 Buddy Levy writes a gripping account of the conquest of Mexico. The narrator, however, fails miserably in his attempt at imagining how the Spanish would have spoken english. I could not stop thinking about Richard Dreyfus in the movie "Moon Over Parador." The narration ruined the experience for me. I can't finish the audiobook. I'll look for the paper version in the library. Thouroughly researched, as if you were there. Excellent book, it seems as if the author searched as much historical data as he could find. Any more detailed and you might as well have been there.